How Much Would a Whole House Renovation Cost? Renovating a home is expensive as hell! One of the things that a lot of homeowners tend to think is that if you can find a home that needs some TLC, then that project home can be very personalized at less of a cost than a fully finished home on the market. 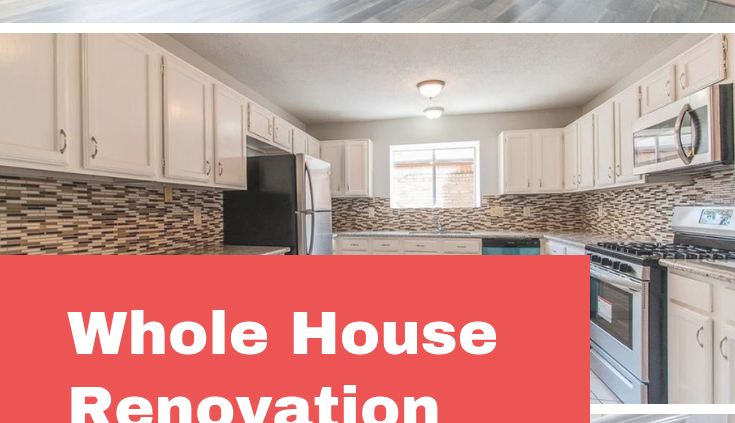 On the other hand, some homeowners know that their home needs some upgrades and think that they might have some fun with it and become a hobby DIY-er. The problem with these scenarios is that as a home requires more work, the cost rises, and the effort and skill level needed increases. Sometimes a homeowner plans to list a home on the market, and they think they’ll be able to handle getting those upgrades and touch-ups done on their own. But it turns out that there’s a lot more work involved, the costs associated with it end up being greater than they expect, and mistakes tend to happen when there’s not a lot of experience in place to make those changes appropriately. So, before you go all-in on renovating your home, I want to make sure that you understand exactly what home rehab costs are whether you’re doing it yourself or planning to hire someone to do it for you. First, let me start with a recent home that we worked with. We got a call from a young woman that said she was interested in selling her home as-is. She mentioned that the property was owned by her parents, but they weren’t particularly behind on their mortgage or having anything that was urgently pressing them to sell the home. So, we went to check out this house and learn more about their situation. It turns out the parents were interested in selling the house to help their daughter move to NYC with her partner so that they can have ample funding for their new journey together. The house was in tatters and would be a huge undertaking to bring it back up to market conditions. Because the home had so many issues with it, there were far too many things that need to be repaired. The parents didn’t know the first thing about setting up a renovation project, and they didn’t know how to project the costs for it. The biggest issue was just how much trash was still in the home, almost as if the home had just been through a flood or hurricane, creating a hazardous environment. A broken a/c, in the heat of the summer. A leaky roof, potentially causing mold damage in and around the house. Exterior patio area that needs to be completely removed due to rust and rotting. Drywall fixes, along with standard mold and trim replacement. And all your standard touch-ups with a home. By all accounts, this home was in shambles, and it would be a daunting task for someone that isn’t well-versed in handling home renovations. For a renovation, it’s important to assess a home in virtually any condition and figure out what is needed to get it back to habitable, and desirable, conditions. When we’re evaluating a property, we have a pretty clear rubric that helps us assess estimated repair costs, which I’ll share with you. What I’ll do is run through parts of it with you so that you’ll know what to do when estimating your own renovations. Using our home renovation estimation sheet, you can start getting a better idea of what costs are associated with the work that house needs. Armed with that knowledge, you can make informed decisions on what parts of your home need to be prioritized first, what it would cost if you did it yourself, and what it would cost if you hired labor to handle it for you. Some really valuable information to add to that is identifying what modifications or upgrades to your home are going to bring it the most value. 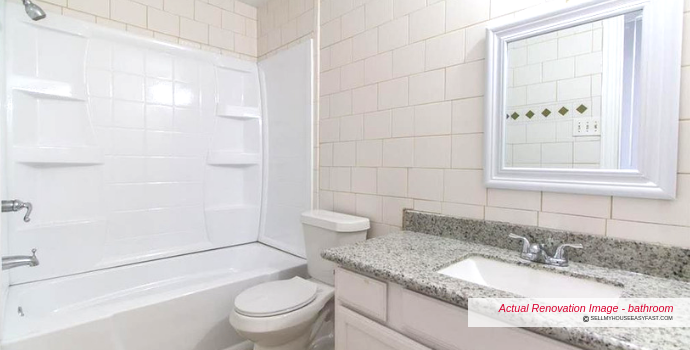 With the property, the estimate was above the $30k mark, and we needed to rein that in to get it within a range that made the numbers work for us. In general, with almost any project, the total cost of materials and labor are going to vary. But there is a rule of thumb for homeowners and that is to give a buffer that is higher than your original estimate, so for any estimate you get, you want to create a buffer up to 25-50% on top. For some homeowners, this miscalculation means the project goes way over budget and they’re unable to complete it, leaving the home in a state that’s worth even less than before the project began. If your budget is too tight and there is a lot to be done, you might be better off not going down the route of renovating the house yourself. In 99% of cases, there are surprises with either the estimate being off or some issue revealing itself that wasn’t included in the original estimate. These surprises can make the entire job not only more costly but take longer than expected. 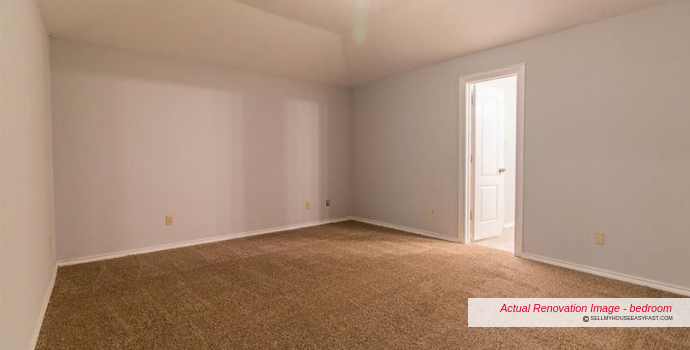 So, what did $30k accomplish for our property? 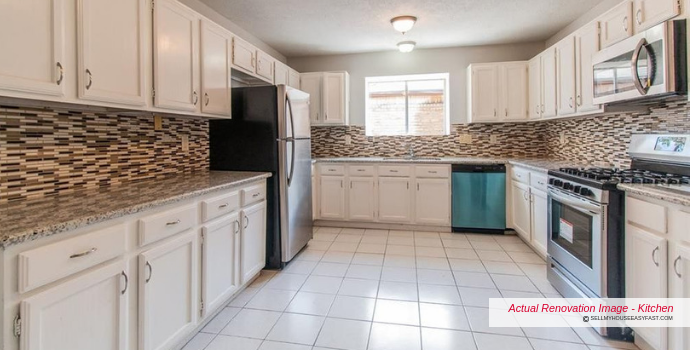 Do you think this is the same home? After hauling the trash, tearing down walls and putting new ones back up, the total project took about 2 ½ months. No joke, this is the same house you saw in the video. 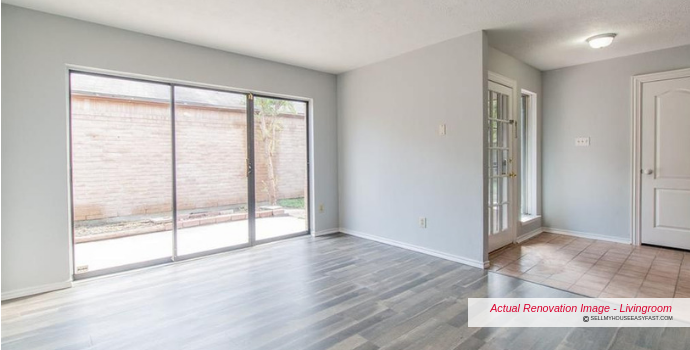 If you like what you see here and you are in the Houston, TX market, then feel free to reach out to us and we will connect you to our partner Lily. Alright, let’s it’s time to go over what the project required from the itemized sheet. As you can see, the estimate actually came in just above $30k, but look at how much of that budget is attributed to just demolition and trash haul. Trash haul is often one major component that gets overlooked and is especially problematic in apartment or condo complexes. 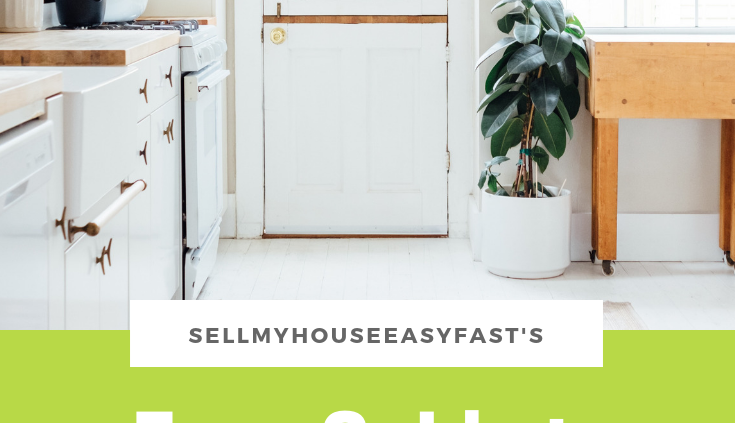 https://sellmyhouseeasyfast.com/wp-content/uploads/2018/10/Whole-House-Renovation-Article.png 1102 735 Mike Burton http://sellmyhouseeasyfast.com/wp-content/uploads/2017/06/logo-transparent-1.png Mike Burton2018-10-12 22:07:402018-11-27 23:56:05How Much Would a Whole House Renovation Cost?